The model lasted just over one year -- from October 2013 until January of this year, when Nissan stopped producing it in the face of falling U.S. gasoline prices. The twin version of the vehicle -- the Infiniti QX60 Hybrid -- remains in production at Nissan’s Smyrna, Tenn., assembly plant and will be offered as a 2016 model. A few U.S. Infiniti retailers are selling the hybrid, but most output is exported to China, Mexico and other world markets, an Infiniti spokesman said. The product portfolio change will mean little to Nissan’s U.S. sales volume, which rose 13 percent last month over June 2014. 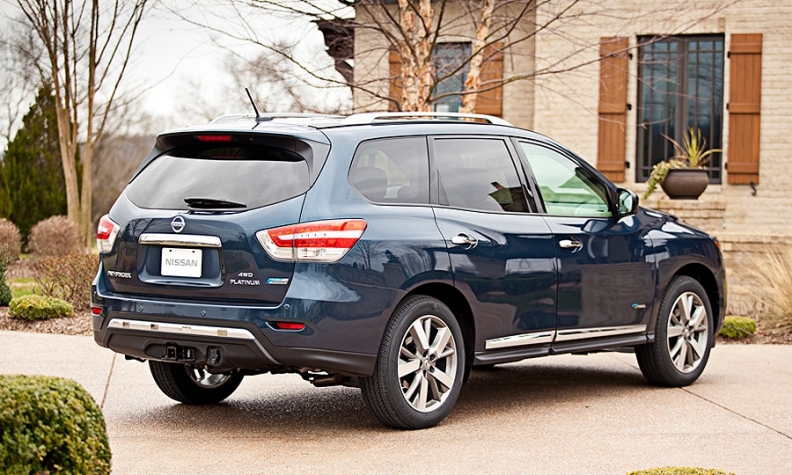 U.S. sales of the Pathfinder totaled 7,168 in June, also a 13 percent increase from a year earlier. As customers became more concerned about fuel economy and gasoline prices in the past decade, one automaker after another introduced hybrid versions of popular models, including a hybrid Toyota Camry, Hyundai Sonata, Nissan Altima, Kia Optima and Volkswagen Jetta. But the hybrid options did not always wow consumers. The two-wheel-drive Pathfinder Hybrid cost about $3,000 more than the comparable standard Pathfinder, but provided just four additional mpg, combined city and highway. Its fuel economy advantage on highway driving was only 2 mpg, according to EPA figures. Bedore says that deleting the Pathfinder Hybrid does not signal a lack of interest in hybrid technology on Nissan’s part. Nissan is rumored to be planning a hybrid version of the smaller Rogue crossover, which Bedore declined to discuss.